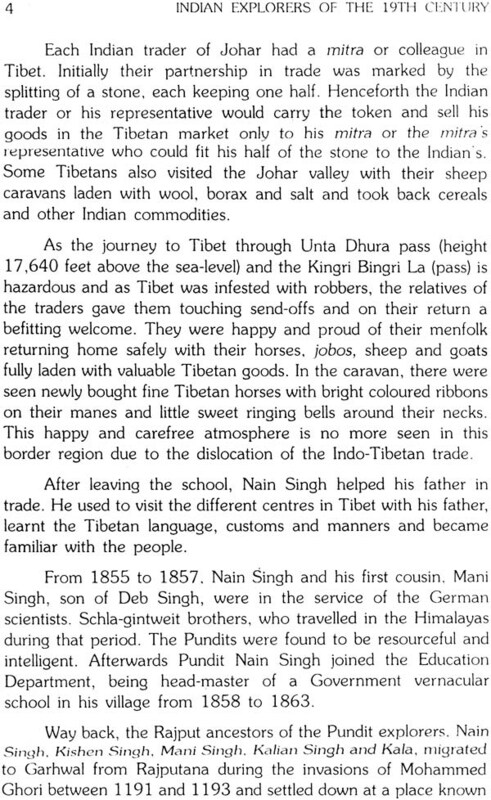 In my childhood I used to hear the legendary songs of the travels of explorers Nain Singh and Mani Singh to Ladakh during fairs and festivals in Johar valley of Kumaon. 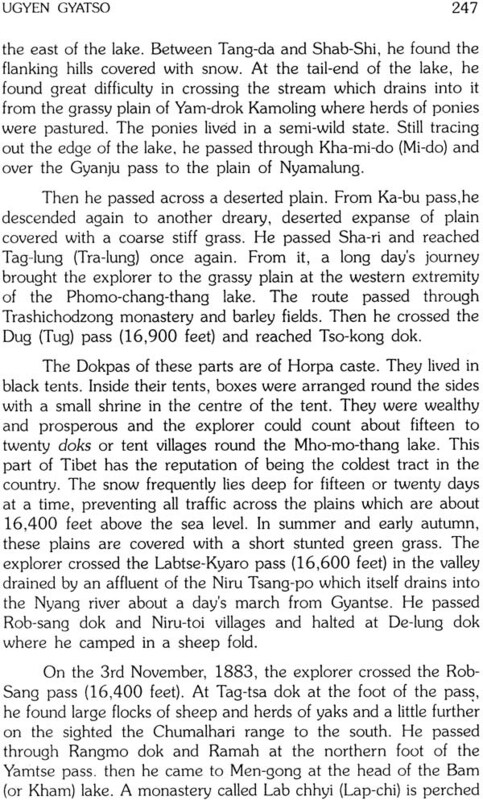 I also heard from uncle Kishen Singh interesting stories of the Grand Lama of Great Tibet, the robbers' battle cry of Ullul-lullul lu-u-u the black and white tent-dwellers and jet-back wild yaks of Chang-tang (the heart of pastoral life in Tibet) and various other events during his exploration in Tibet, Mongolia and other parts of Central Asia. All these left a deep impression on my young mind and created a great desire in me to follow in their footsteps. The circumstances and environments in which a child is born and brought up in the Himalayas prepare him for active life. His daily gaze at the snow-capped peaks, the surrounding grandeur and the scenic beauty fill his heart with joy and love for the Himalayas. From time immemorial, our sages have sung songs in its praise and the Hindu mythology is full of the Himalayan legends. Here in the peaceful atmosphere, Lord Shiva used to meditate, sing and dance in his tandav mood to the glory of the Almighty God. The dales and valleys still echo and re-echo with the legendary songs. There entwine our fondest recollection and wherever we may go, our eyes always turn towards it with deep love and respect. 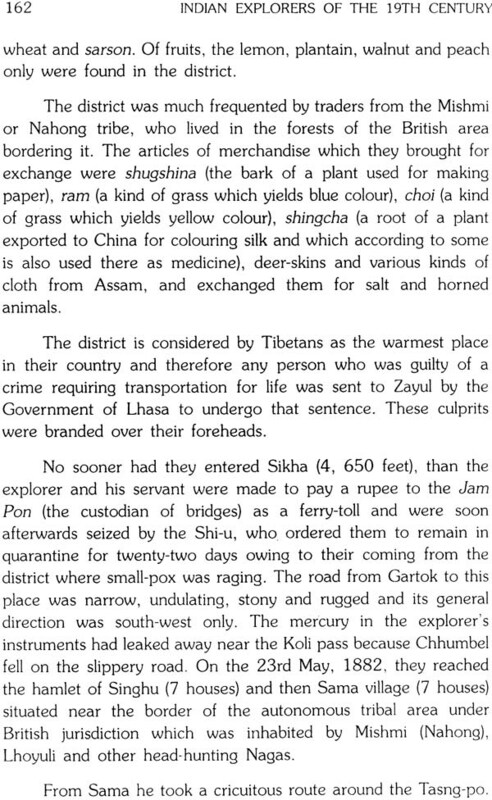 To the western people, the Himalayan peaks are just giants to be conquered, but to the Himalayan people these are holy places to the worshipped. The Himalayan feed the great perennial river of India, halt the northward march of the moistureladen monsoons and shield us from the piercing winds blowing from the other side. For centuries, it was a barrier to invasions from the north. Thus it will be seen that much of God's blessing reaches us through the holy Himalayas. This born and brought up in the Himalayas and after being educated. I enlisted myself in the Kumaon Rifles in 1919 and was brought into the survey of India in 1920 by Major H.R.C. Meade. As a surveyor. 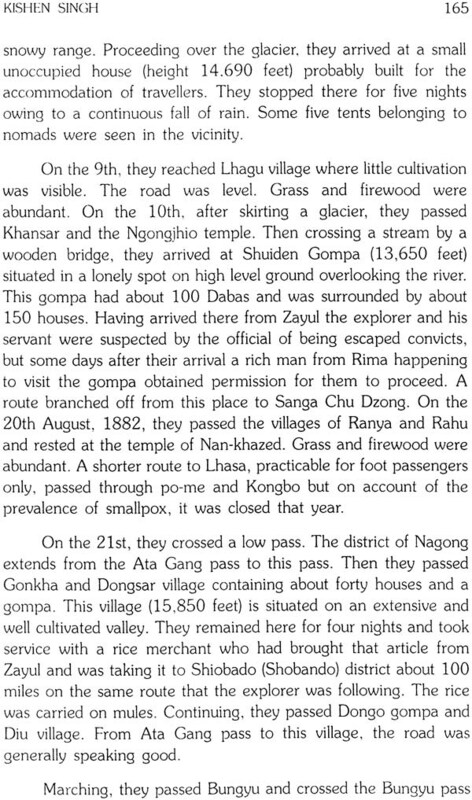 I had an active and tough life for 41 years in the High Himalayas, deserts, wild and malarious jungles and other parts of the Indian sub-continent, among various colourful, rural and romantic, tribal people, including the valiant Pathans of the North Western Frontier Province and the head-hunting Nagas of NEFA. 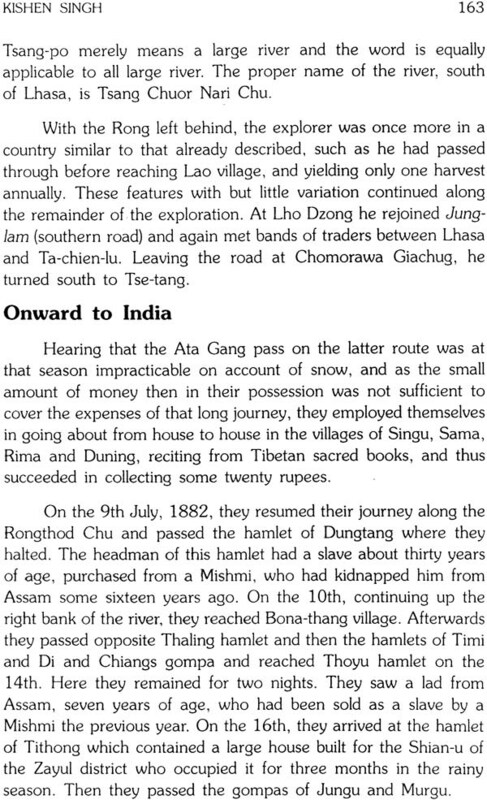 The surveyor in India is still maintaining the old tradition of hard work and discipline of the Survey of India, working from daybreak to sunset to complete the allotted work within the fixed period and leading tent-life during the field season. Considering its vast area, comprising different and varied features from the high Himalayas to Cape Comorin and from the eastern to western frontiers, India is one of the best mapped countries in the world and the Survey of India is one of the best scientific departments of the Government of India. 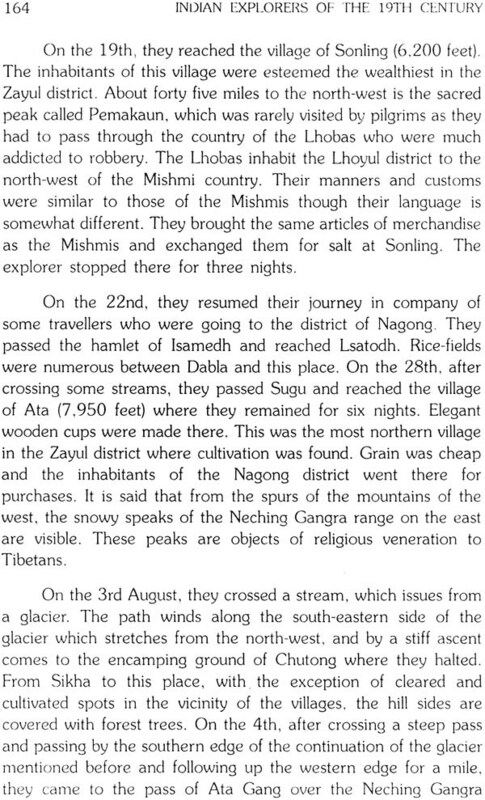 Being interested in mountaineering and travels in Central Asia, I read such books as "The Abode of Snow" by Kenneth Mason, "The Scottish Himalayan Expedition" by W.H. 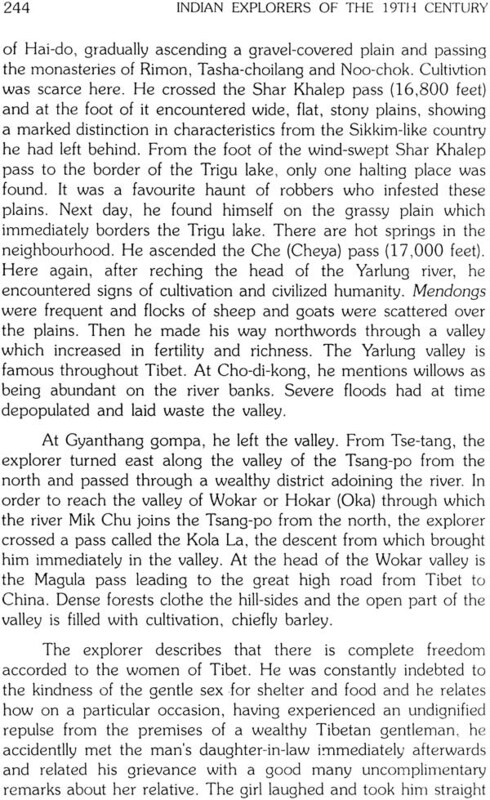 Murray, "The Man of Everest" by James Ullman, "Beyond the Himalayas" by William O. Douglas and various other ambition to write an account of the historical work of the Indian explorers of the nineteenth century. On my retirement in 1961, I changed over from sports and active life to research and literary work. With the permission of the then Surveyor General of India, I used to visit the survey library at Dehra Dun to consult the old Survey records. I also visited the National Archives of India at New Delhi and consulted the original diaries of the Indian explorers, the Memoirs of the Indian Survey by Markham and various other old records. 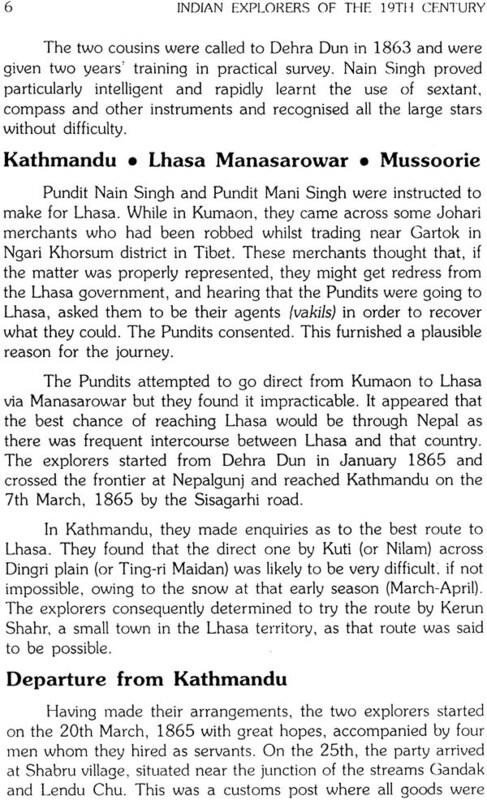 My own family records gave e valuable informations about the Pundit explorers. I made Colonel Phillimore (a distinguished Survey Officer and a great Survey historian) my Guru (teacher). I used to contact him often during the winter from 1961 to 1964 at his residence in "The Club", Dehra Dun for help and guidance. Even in his advanced age, he used to give me sufficient time. He was a strict critic and advised me to be true to facts and to avoid vagueness. 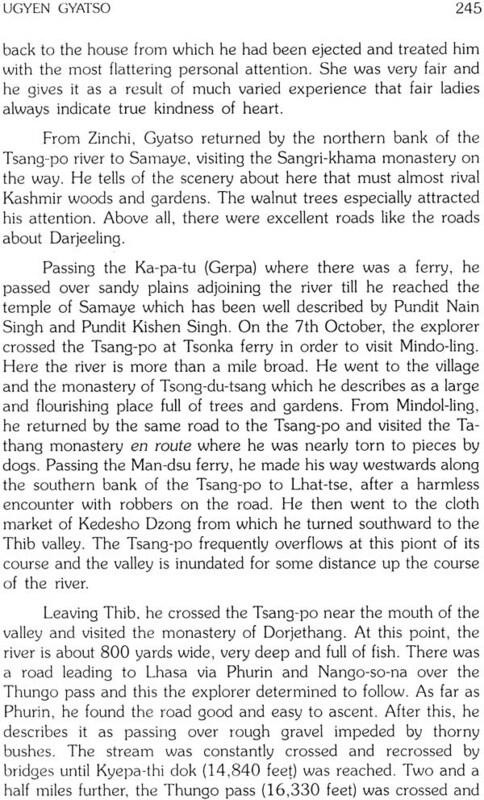 In 1964 he wrote the Foreword for my book before proceeding to Gulmarg. Kashmir where he died at the age of 85. 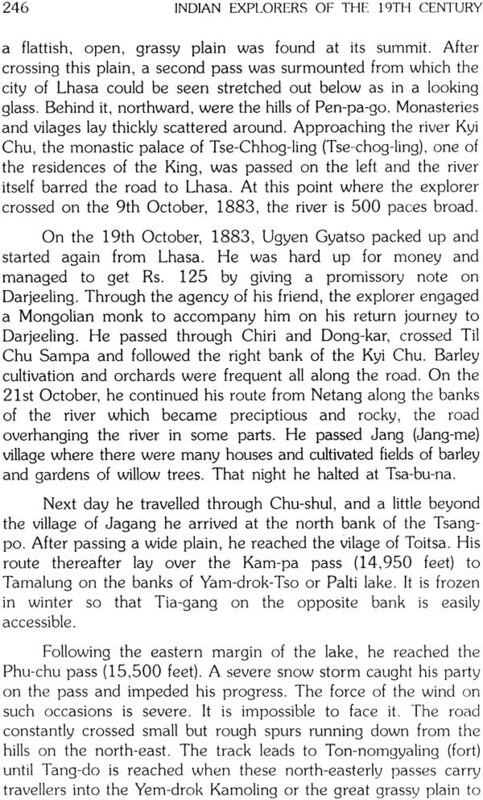 The book gives a narrative account of the explorations in the Himalayas, Tibet, Mongolia and other parts of the Central Asia during 19th century. 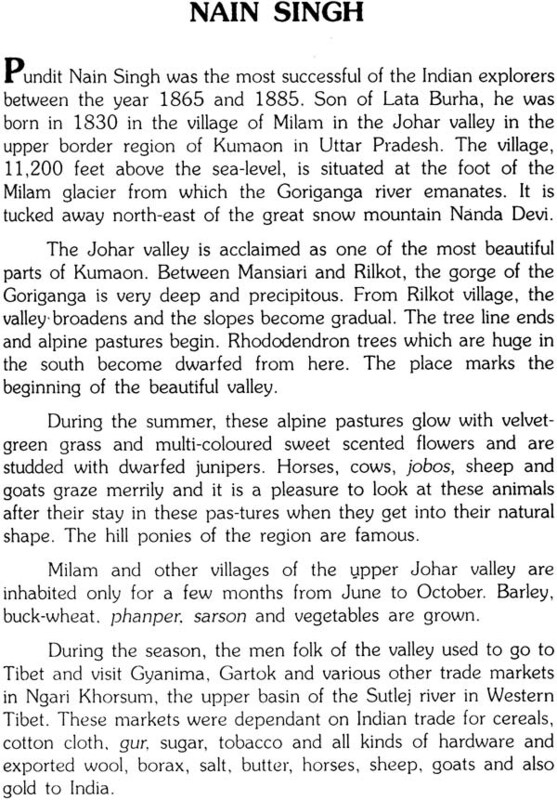 It depicts geographical, historical, cultural and social aspects of the region as also the routes followed by the mountaineers during exploration. 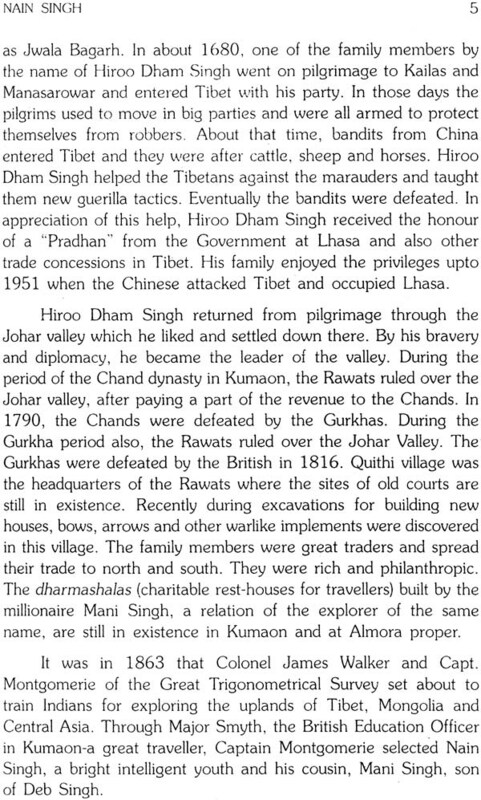 Born in the picturesque Himalayan region, the author served the Survey of India in a senior position and bad an opportunity to acquaint himself with the rugged terrains and intrinsic beauty of the Himalayas.